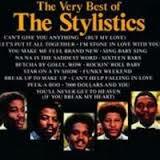 Betcha By Golly Wow-The Stylistics | Wedding Wisdom, Etc. “Betcha By Golly Wow” might be the strangest title for a song in the history of music. But for some strange reason, it works. The melody is so strong and the lyrics are so sweet and romantic that it’s easy to disregard the inanity of the title phrase. There’s a spark of magic in your eyes. Candyland appears each time you smile. Never thought that fairy tales came true. But they come true, when I’m near you. Write your name across the sky, anything you ask I’ll try, cause,..
“Betcha By Golly Wow,” written by Thom Bell and Linda Creed, and recorded by The Stylistics in 1971, has stood the test of time. I still think it sounds fresh, and would make a spectacular, unexpected choice for your First Dance. The very first line “There’s a spark of magic in your eyes.” says it all.